Many of you will know the Lightys’ love of CenterParcs. 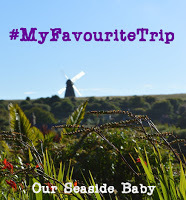 We went twice before Baby Lighty came along, once for our 30th birthdays with our friends and once as a couple for a relaxing break at one of their Belgian resorts. If you’re planning to arrive before the time that you can get into your lodge, a top tip for baby wearers is to pack the sling, and if you have a particular baby wearing bag or rucksack, on top of the mountains of luggage you’ll doubtless take with you so that you don’t have to unload the whole car in the car park to find it. Mr Lighty enjoying a spot of baby wearing! 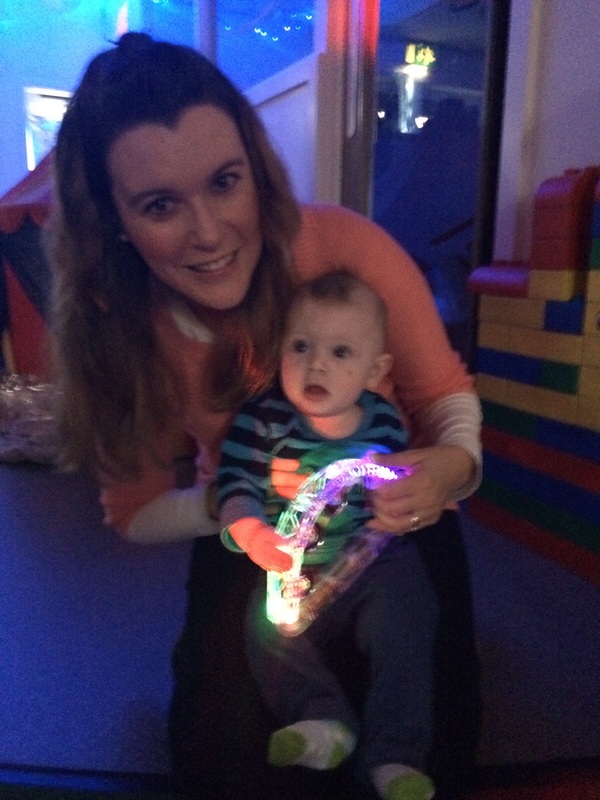 If you can, book baby friendly activities to keep your little one amused. I say “if you can” because we found that at 5 months, there wasn’t a huge amount that Baby Lighty could do; most of the activities were from age 7 months upwards. Having said that, we booked to see Father Christmas on the day of our arrival and a baby sensory session for the Saturday morning, which both Baby Lighty and his cousin Baby Browny loved. He also enjoyed the fireworks, and the children’s swimming area at CenterParcs Elveden Forest is excellent. 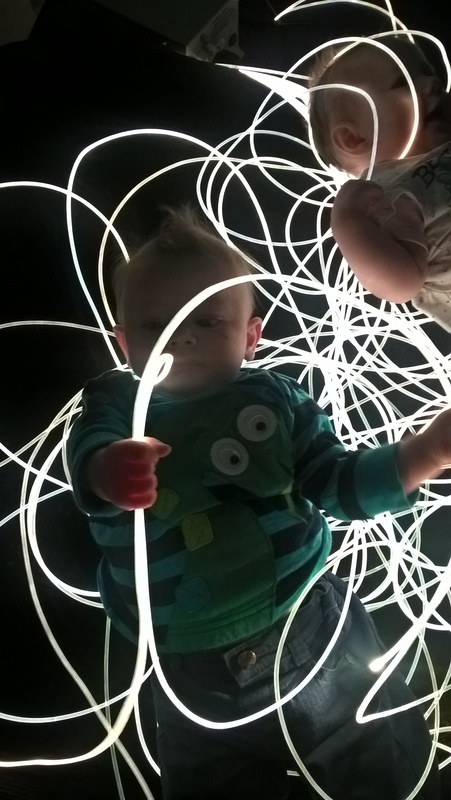 Love the photos that we got of the babies with the sensory lights! The lodges, while fantastic, are relatively small, and you may find that only one of the bedrooms is big enough to take the travel cot. It’s wise to take small toys if possible. Once the Poddle Pod and bouncy chair were out, there wasn’t much room for anything else, let alone the two highchairs needed for the babies once the two families joined forces in one lodge! The living room area of lodge! Some of the lodges have a chalk board and chalk which may keep toddlers amused for a while, but Baby Lighty hasn’t quite got the required fine motor skills for drawing just yet!! The Lighty’s chalkboard, not written by Baby Lighty!! As I’ve touched upon above, Elveden’s Sub Tropical Swimming Paradise is fantastic, and not just for the little kids; the big kids’ pools and slides are equally excellent. The only thing that lets it down, in our opinion,is the lack of family changing rooms. Obviously they only have so much space, so they can’t turn it all over to family changing, but the problem if you arrive at lunchtime – either as families are arriving after their lunch or departing to have something to eat – is that you could be waiting a long time for a changing room. On one occasion, we waited for at least 10 minutes for one to become free, with Baby Lighty becoming increasingly agitated at being fully dressed in the warm environment of the pool, only to have two other families push in front of us before we could get one, as there’s not really a queueing system. Similarly, in the rush to get a changing room on another occasion, Mr Lighty’s phone dropped out of our swim bag and smashed on the stone floor. Yes you did read between the lines correctly, for us our biggest creature comfort is the Tommee Tippee Perfect Prep machine! 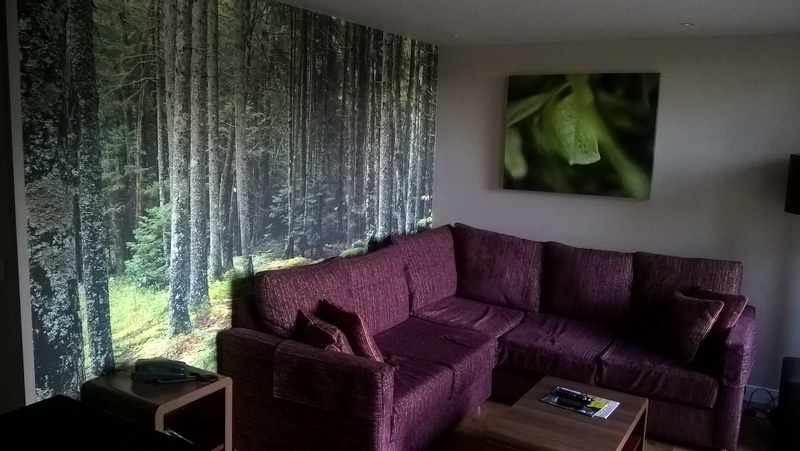 Unlike when we stayed in hotels in the summer, CenterParcs is perfect for self catering, so it was easy (and handy) to set up the Perfect Prep. We still took our trusted Milton Bucket, however, as we weren’t sure if the microwave steriliser would fit in the microwave in the lodge (although looking back, I think it probably would have done). As you make the lodge your own little space for the duration of your stay, it’s easy to take anything that you feel you really need with you, although we noticed that the Parc Market supermarket on site had a good selection of baby bits, should you forget something. 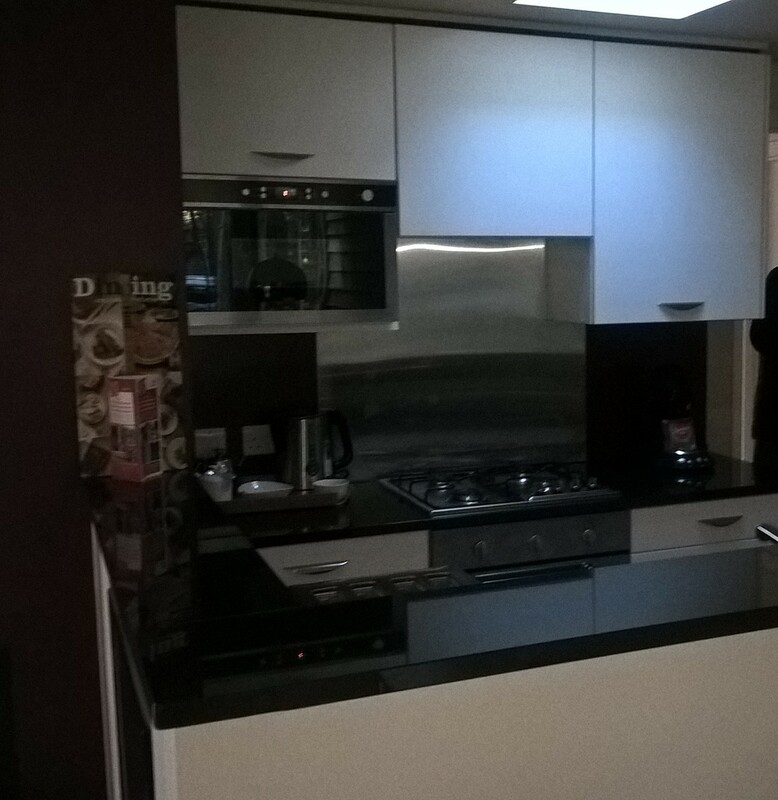 The kitchen area of the lodge. It was even equipped with a wine cooling fridge! 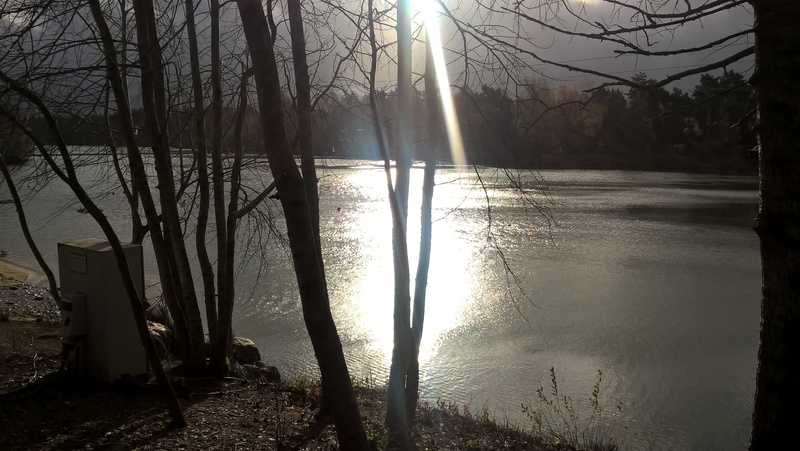 All in all, CenterParcs is a great place to take a young family. They’ve even thought about things like playpens in the swimming area, and all of the lodges can be supplied with a travel cot and high chair. Would you add any points to the above? 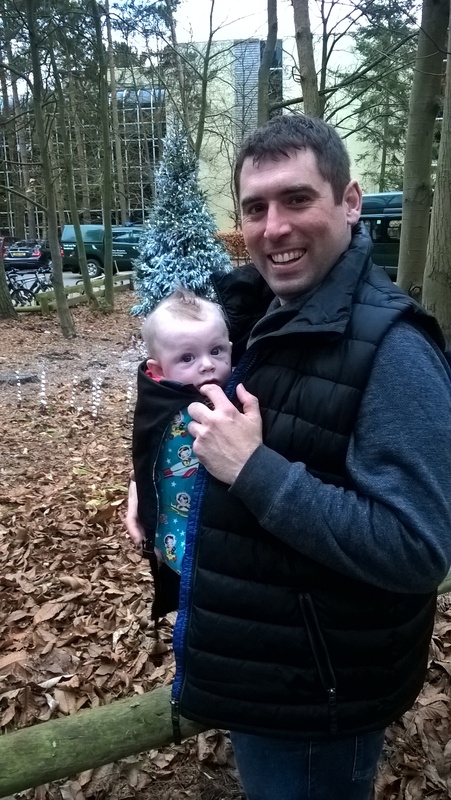 I hope that regardless of whether you’ve been on a drunken weekend to one of the resorts in the past, or you’re a first timer as a family, you’ll enjoy your break to Centerparcs as much as we did with the help of these tips! Fab post! I’ve never been to Centre Parcs before but am going on a hen do there next year, so will get to do the “adult” part then but really want to do a family trip there soon. Hopefully we can get one booked just before I go back to work – I will be bookmarking this post to come to for then! You’ll love it! It’s perfect for both grown up holidays and family holidays alike. 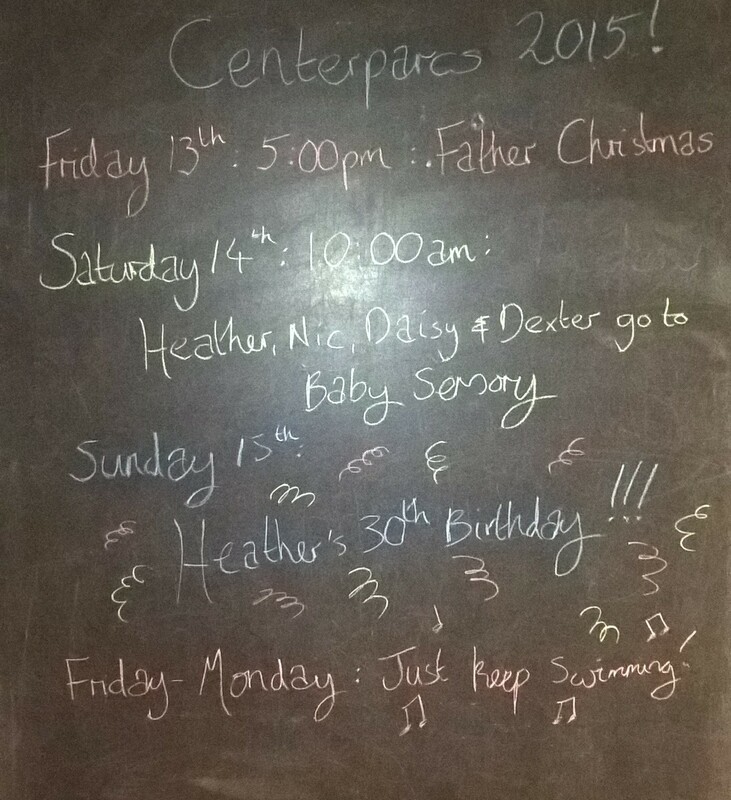 You might like this old post of mine, as it’s about our 30ths at Centerparcs: https://anansweronapostcard.wordpress.com/2014/06/03/party-in-the-centerparc/ We had such a fabulous time! It’s ideal for a 3 year old, I can’t wait to go back when Baby Lighty is a bit bigger 🙂 Thanks for hosting #myfavouritetrip, I hope to link up again soon!